Our weekend went by in a flash. We had dinner with friends on Saturday evening and the rest of the weekend was spent resting and catching up on laundry. Exciting, huh? The weather was terrible which allowed for some seriously welcomed DVR catch up. The weekend was ended with our favorite, Mad Men. With each week that goes by, Don gets stranger and stranger. Just when you think you have him figured out, there's a new twist, a new glimpse of his past. AMC sure knows how to keep us coming back for more! 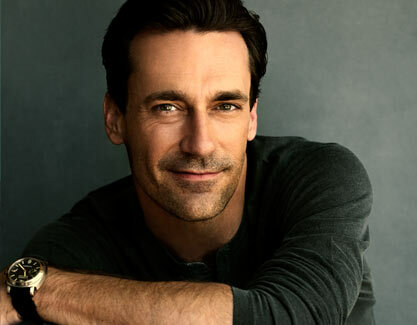 Since I don't have any weekend snap shots to show you, I thought I'd start Monday off with a little eye candy inspired by none other than Mad Men, courtesy of Jon Hamm. 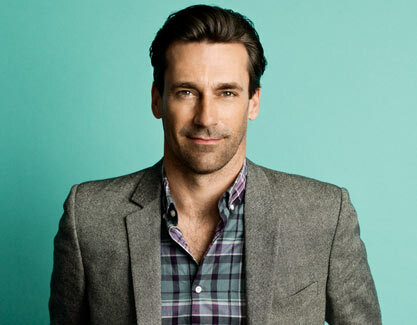 Jon Hamm = Classic, Effortless Style. Do you watch Mad Men on AMC? I love weekends to catch up on the DVR! Most relaxing weekends by far! I watched the first few episodes of season one of Mad Men, but my husband wasn't that into it, so I haven't picked it back up (I loved what I saw of it though!) I was able to watch The Vow finally! Such a good movie! Stopping by from Monday Morning Gossip! Hope you have a great week friend! Mmm I could stare at Don Draper all day! lol yes this episode was SO strange... I think I need someone to explain it to me.